Enjoy Sao Paulo Hotel's Central Location Welcome to sunny Sao Paulo, home of the Holiday Inn ExpressÂ® Hotel Sumare Avenue - Sao Paulo. This hotel's location in Sao Paulo, near the Financial District, offers the utmost in comfort and convenience for an affordable price, ensuring a pleasant travel experience. Business travelers have all the resources they need to be productive when they stay with us. Free Wi-Fi access is provided in every room, and the 24-hour Business Center provides guests with free local fax, copy and print services. With the Financial District on Av. Paulista less than five kilometers away, guests enjoy an easy commute to and from the many major businesses nearby. In fact, prominent corporations such as PwC, MTV and ThyssenKrupp Elevators are headquartered less than three kilometers from the hotel. Sao Paulo offers many great parks, museums and architectural attractions. Guests can consider visiting attractions like the Museum of Football (Museu do Futebol) during their downtime. Located seven minutes away, this 6,900-sq-meter museum details the rich heritage of Brazilian football. Let the hotel's amenities make your Sao Paulo trip more convenient. Start your day with the free, hot Express Start Breakfast Bar, which serves coffee, local pastries and much more. 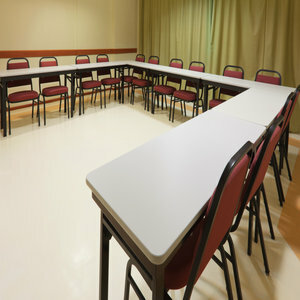 Host your meetings in one of our four on-site meeting rooms. You can save time and money by staying with us on your next visit to Sao Paulo!